Ecommerce Website Builders: What Makes Them Different? Website design gets slightly more complicated when you need to start buying and selling online. Ecommerce website builders are unique in that they have to encompass more than just the average web page building features. The shopping cart, security, product pages, ease of use, marketing and even the added support have a big impact on the success of any ecommerce site. Choosing the right web building software for your online shop is therefore essential. What kind of online shop template am I looking to find when choosing a website builder to create my ecommerce website? Different e-commerce website builder packages have a variety of interesting options to choose from. Of course, they all have a shopping cart feature. This is where your customers "hold on to" the items they want to purchase. The shopping cart also acts like a cash register, summarizes the subtotals, adds the shipping charges and gives the buyer a final price. 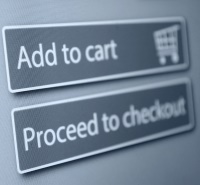 In addition to a shopping cart, ecommerce site builders also ensure that online financial transactions are secure. E-commerce sites will handle personal information and credit card numbers, so safety is of paramount importance. SSL secure transactions for credit cards might sound like it?s above your pay grade to worry about, but these are the encryptions used to keep credit card or check information safe online. Without this, the site would not be appropriate for people entering their credit card information, as it would be easily captured by identity thieves. For those who want to offer alternative payment options, look for ecommerce software that has PayPal integration. This makes it safe and convenient for customers to pay online for any item. So it's just sales that I need a dedicated ecommerce web builder to sort out? Not exactly. Product page creation is another feature of ecommerce website builders. A product page is where the seller showcases each item for sale. It generally has a photo, or multiple photos, of the item, and important information like the price, a description, shipping costs, and sometimes customer reviews. Advanced site builders have product page software that allows visitors to zoom into the photos of your product for a closer view. There may be boxes to click that choose options like color, size or other customized descriptors. An additional box that can be clicked will add the item to shopping cart. After clicking the appropriate boxes, the buyer can either check out or continue shopping on the site. These features are best done by someone experienced in ecommerce design, and would be incredibly time consuming, or look amateurish if attempted as DIY. Anything else I can expect from the best ecommerce website builders? The best E-commerce website builders often offer web hosting as part of an all-inclusive package. This ensures that you not only have a functional and attractive site, but you also have a live site that can handle jumps in traffic. It's important to note that not all web hosts can deal with the distinctive requirements of ecommerce sites. Online stores need secure servers and typically unlimited bandwidth. They typically need larger storage space as well. Know how much space the site will need now and estimate how much it is likely to need in the near future. It is important to make sure the storage suits the company's needs without being charged an additional monthly payment. These fees can be quite costly and add up quickly. In addition to hosting, most ecommerce software has marketing assistance. Some have social media integration tools, others offer SEO (search engine optimization) tools and many provide coupon-creators and even allow you to design gift certificates. These services are there to help drive customers to the site, and may be worth you investigating before you make your final choice. Another part of marketing is analytics. All of the best ecommerce software packages offer you data collection and analysis tools to help you examine site traffic. Using these tools you can optimize the performance of your website, increase conversions and maximize sales. Finally, don't forget customer support. This is a key factor in the reliability of an ecommerce website builder. You want to makes sure that, when it comes to your online business, if anything goes wrong, there?s always someone to help, or those "minor bugs" can cause major loss of profits. Look for an ecommerce website builder that offers 24-hour, live chat, phone assistance or email support. You've chosen your eCommerce website builder - congratulations! Now make sure not to fall for these common mistakes in website design.